VroomVroomVroom have the best deals of hire car brands from all segments supplied by the most trusted hire car agencies like, Avis, Thrifty, Budget, Hertz and Europcar. Thus, you will have a huge variety of hire car vehicles to choose from. Port Macquarie is a small city in the Mid North Coast of New South Wales. the city is a natural harbour founded in the 19th century by the Europeans who reached the shore and has a population of about 46,000. Why rent a car in Port Macquaire with VroomVroomVroom? Having a car rental in Port Macquarie will give you many advantages. 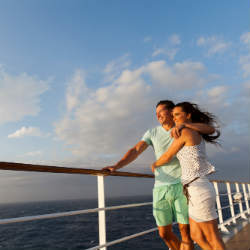 You'll have the chance to spend your holiday at your own pace. You may even create your own itinerary as you won't have to rely on the schedule of any public transport. You can drive away anytime, anywhere without any hassles. Wondering how you can secure the lowest car rates? That's easy! Just read our Price Promise page to understand more. Book your reservation in advance in three easy steps and avail cheaper rates. Cancel anytime without having to pay any cancellation fees. If you have any enquiries, feel free to contact us and one of our accommodating and well trained customer care experts will surely make your day. January, February, March and December are the perfect months to visit Port Macquarie, with January being the hottest month. Fall and spring are also a good time to make a trip here. 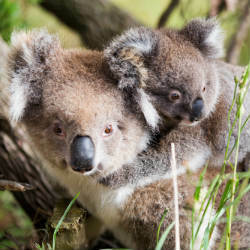 Having a climate of 7°C to 27°C, the port surroundings turned into a retirement destination, famous for its long beaches and waterways, and of course for the large number of koala bears that live here. Visit the city, and you will see that it has developed immensely in the last couple of years, and has became the main area of interest for real estate industries. Before hopping in your rental car, make sure to check Live Traffic NSW to serve as your guide for routes within the city and heading to Sydney and Alexandria. Billabong Koala Park is a wildlife park and a koala breeding center located in Port Macquarie. Not only does the park have a large population of koala, but also other species of Australian exotic animals. All the members of the family will enjoy a pleasant afternoon learning and discovering the animals. The park also houses picnic barbecues, small lakes and cafes, as to benefit from a great experience. Chinese Junk is another way of hopping aboard a cruise ship and enjoying an interesting and authentic experience. The trips last for two hours, you can have lunch on the cruise and the Captain will even have tea with you in the morning. The Chinese Junk Cruise is perfect for family parties or even weddings. Cruise Adventures. This great place gives you the opportunity to experience Port Macquarie at a different level. There are more than 100 kilometers of waterways, you can go on a cruise and experience something truly unique, watching the whales and the dolphins and even playing with them. Bellrowan Valley Horse Riding also known as "Bellrowan experice" let's you immerse in a peaceful scenery of a 800 acre private valley. They offer daily horse back rides, Pub Ride adventure and trekking from Bellrowan Valley to Bago Vineyards. Port Macquarie is a great place for the sports lovers, for the adrenaline junkies and also for the people who just want to relax and have a great time. Alamo Port Macquarie Airport - Airport Terminal Oliver Drive, Port Macquarie Airport, Port Macquarie, NSW. Avis Port Macquarie Airport - Terminal Building, Hangar 10, Keena Place, Port Macquarie, NSW. Budget Port Macquarie Airport - Terminal Building, Hangar 10 Keena Place, Port Macquarie, NSW. Enterprise Port Macquarie Airport - Port Macquarie Airport, Oliver Drive, Port Macquarie, NSW. Hertz Port Macquarie Downtown - 7 Jindalee Rd, Port Macquarie, NSW. Hertz Port Macquarie Airport - Oliver Drive, Port Macquarie, NSW. National Port Macquarie Airport - Airport Terminal Oliver Drive, Port Macquarie Airport, Port Macquarie, NSW. Thrifty Port Macquarie - 101 Hastings River Drive, Port Macquarie, NSW. Thrifty Port Macquarie Airport - Terminal Building, Port Macquarie, NSW.